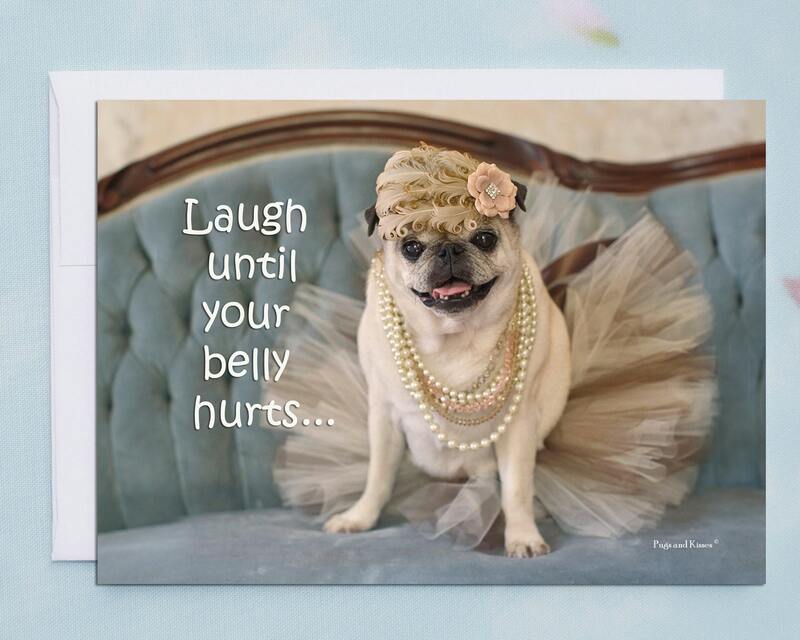 This adorable 5x7 pug greeting card features Gretta Rose de Pug. 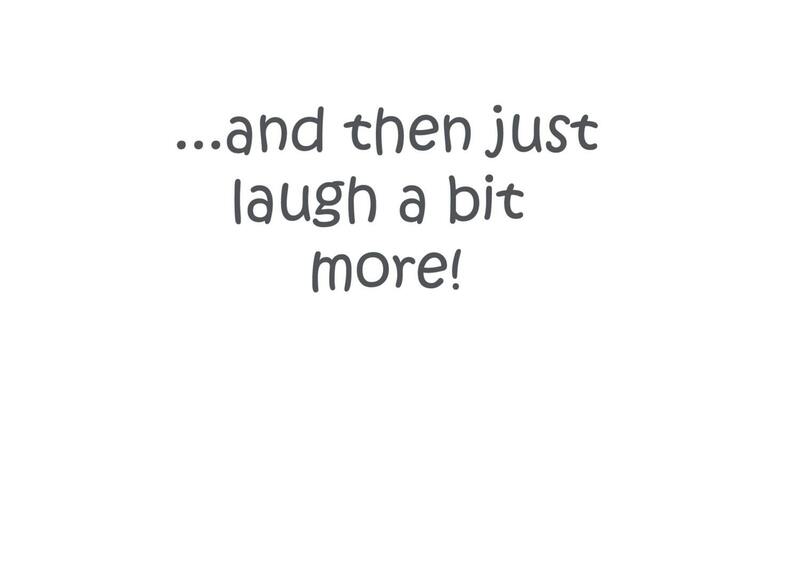 ...and then just laugh a bit more." 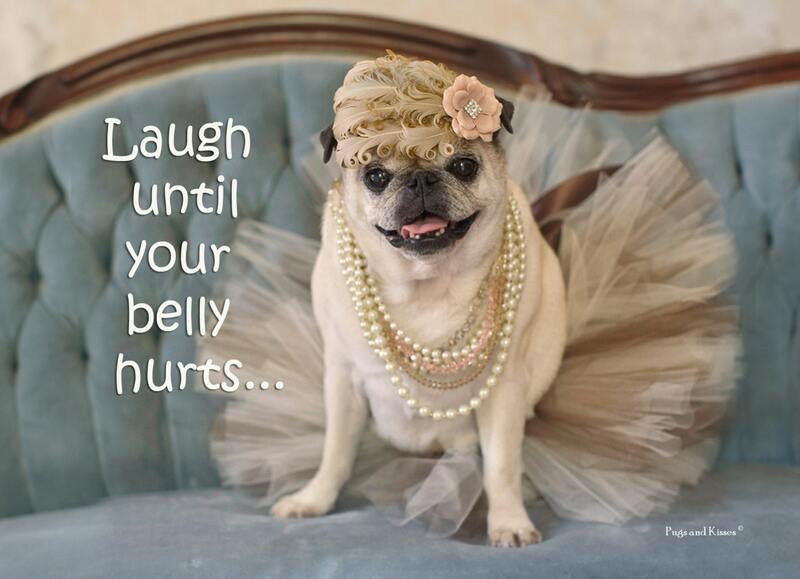 This sweet pug and her darling tutu are sure to spread smiles and help start up some hearty belly laughs!